Stars are all smiles with their trophies. Forest Whitaker solidified his presence as one of the greatest actors of our time, with an Oscar that was long overdue in the eyes of many. We're already looking forward to his nomination in the Directing category. 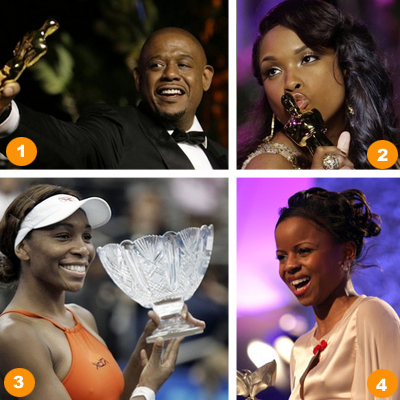 Vocal powerhouse and current media darling J-Hud, topped off her Cinderella story by capturing Oscar gold. In a campaign that rivals Senator Barack Obama's, Venus Williams has set her sights set on a position in the top 16 on the WTA tour. 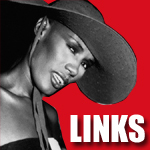 Young Shareeka Epps kept up her run as breakout Indie Princess by picking up a Best Actress award on Saturday. 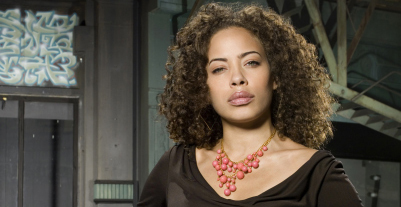 Actress Tawny Cypress took her last breath as Simone Deveaux on NBC's scifi hit, Heroes. Okay, so we're paying our respects to a fictional television character, but for many, the murder of Simone Deveaux in last night's Heroes plot twist, was a devastating shock to Tawny Cypress fans across the nation (though we've seen it coming since the mid-season cliff-hanger). "It feels appropriate to die at the hands of my two suitors," says actress Tawny Cypress, who has played Simone since the pilot episode of NBC's hit superhero series. "All of the deaths on Heroes so far have been very ugly and graphic, and this one was more a beautiful fade-away." The 30-year-old actress has been in tears on and off ever since show creator Tim Kring informed her in December of Simone's fate. "My story line just wasn't there," she acknowledges. "They just couldn't figure out where to go with Simone." In Tawny Cypress' case, we hope her post-Heroes afterlife includes reincarnation, with roles on the small and large screens in the future. Today's Saturday Soul moment is brought to you by the incomparable Motown legends, Tammi Terrell and Marvin Gaye, both of whom the music world lost much too soon. Tammi Terrell was only 24 years old when she died in 1970, during which time, Marvin Gaye is said to have taken a 2 year hiatus from performing and focused on creating the introspective masterpiece "What's Going On." This performance of "Ain't No Mountain High Enough" shows the two at their best; flirty and fabulous. Enjoy. 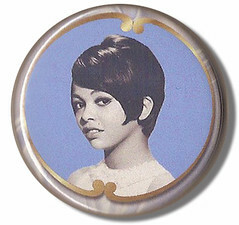 A Tammi Terrell pin, collected at a Motown show last year. A Picture is Worth a Thousand Words [#004]: Separated at Birth? 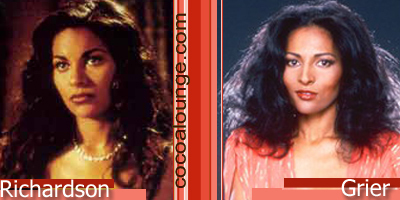 We've come to know these ladies as Pocahontas and Foxy Brown, respectively, but based on how similar they look in these photos, we're calling Salli Richardson-Whitfield and Pam Grier Two of a Kind. Is it really A Different World? Looking at these two you wouldn't think so. 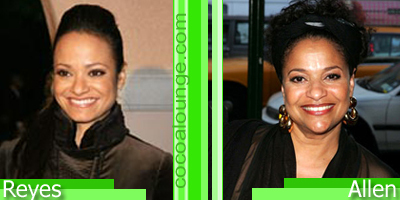 Judy Reyes and Debbie Allen appear to be from the exact same place. 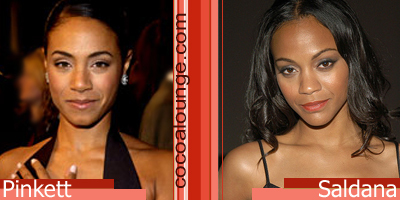 After years of speculation, we decided to put Jada Pinkett-Smith and Zoe Saldana side-by-side to see what would happen. The verdict: If these two decided to put their heads together, they could give the Olsen Twins a run for their money. 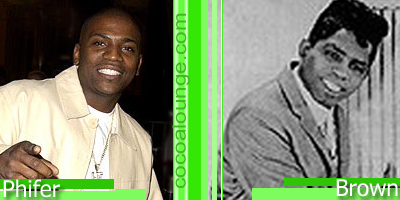 Here's one we really didn't see coming: Mekhi Phifer and James Brown! With the untimely passing of the Godfather of Soul, Hollywood is surely clamoring for rights to a biopic. Note to agents and execs: Mekhi Phifer should be first in the audition line. There's something about that smile and those eyes that sings I've Got Soul and I'm Superbad. Like Jamie Foxx before him with Ray, The James Brown Story could potentially earn Mekhi his first Academy Award. 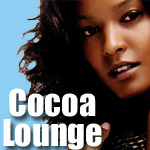 And we wouldn't mind if he thanked The Cocoa Lounge after his Mama and agent. Now, don't get us wrong. 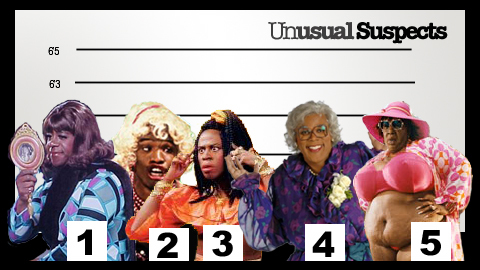 We've laughed at the brilliant characterizations over the years of Flip Wilson, Martin Lawrence, Jamie Foxx, Eddie Murphy, Tyler Perry (and a host of other comedians) as they've portrayed varying degrees of black womanhood to often gut-wrenching comedic effect. But the joke is beginning to get old, and not only that, it's beginning to get offensive. Eddie Murphy's latest venture, Norbit, has been raising eyebrows since its trailer hit theaters, prompting outraged community leaders in Los Angeles to call a boycott. In the wake of Charles Knipp (a white performer, who dresses in drag--and blackface--to portray a stereotypical character he's dubbed "Shirley Q. 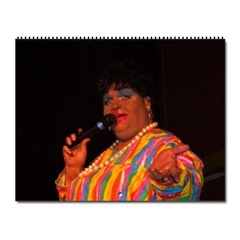 Liquor,") the lines between comedy and blatant racism, are beginning to blur. It's easy for the studios that make these films to stand behind their product: Cross- dressing comedies have a proven track record at the box office. And with black men (not white) donning the wigs and make-up, words like "Stereotypical," "race," and "exploitation" don't apply, right? The joke is ultimately on us. So pardon us if we refuse to laugh. 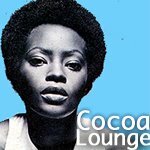 Following in the fancy footsteps of such greats as Judith Jamison, Debbie Allen, and Fatima Robinson, Celestina Aladekoba is a dancing machine. 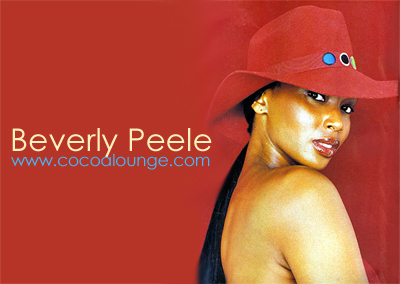 The young star of MTV's pseudo-reality show, DanceLife, made us believers with a recent performance on the Ellen show, where she earned the Cocoa Lounge moniker "Butter," because she's so smooth on her toes. The Nigeria native and USC grad danced her way from the background in videos for artists such as Missy Elliot, Will Smith and Beyonce, to a notable solo in Super Bowl King Prince's infamous "Black Sweat" video. And her feet haven't failed her since. 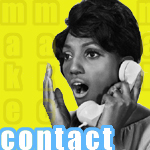 For more info on Celestina and the MTV's show schedule, visit Dancelife. 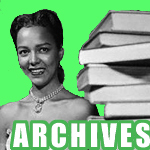 Despite the limitations of her screen credit, Billie Holiday, shone as only she could in her role as a young maid, Endie. She lights up the screen during musical numbers such as the one below: "Do You Know What It Means To Miss New Orleans" (a song that takes on a whole new meaning post-Katrina). When thats where you left your heart..."
New Orleans marked Billie's first (and last) acting performance in a Hollywood film and reminds us how far black actresses have come since.